Only pirates are invited in your gathering. Those landlubbers will be persecuted. 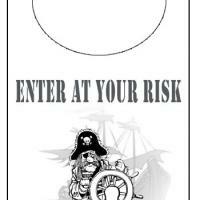 Print and hang this "pirates only" sign at your door.